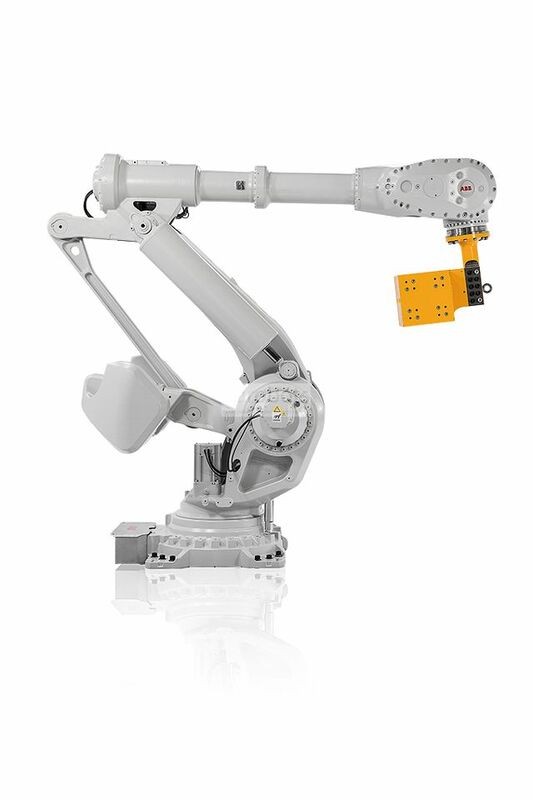 The IRB 8700 robot is part of the eighth generation of ABB robots in order to present a robot with greater handling capacity and reliable and safe performance. 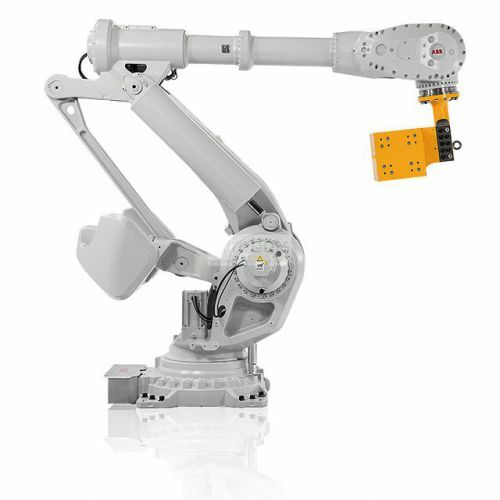 With compact design using fewer elements, that is, it has only one motor and one gear per robot axis, improvements in the counterweight, parallel connections, rigid axes which gives us minimum cycle times, high precision and 25% faster adjusting easily to heavy and large pieces. It also comes in ABB's Foundry Plus2 version as standard protection.